We not only deal in total nail care we aim to give you the best in ALL beauty treatment using the very best in nail & beauty products. Products such as NSI, CND & YOUNG NAILS, GEL & ACRYLIC. We also offer the best in the beauty industry for waxing, tanning, brows & lashes, not to forget our fabulous new Journey with Minster/McFarlane. We now have 2 stunning beauty rooms, offering both male & female intimate waxing, Fake Bake organic tanning, LVL lash lifting, massage, facials, sports massage, luxury pedicures & together with Minster McFarlane we are proud to introduce the fabulous MAC makeup by Lynne. This new adventure also brings from Minster/McFarlane the ultimate in hairdressing. Whatever your nail, hair & beauty needs, we are sure to have everything under one roof and a quick call or email away. We specialise purely in nail care, along with manicure and pedicure nail enhancements and extensions using original CND products. 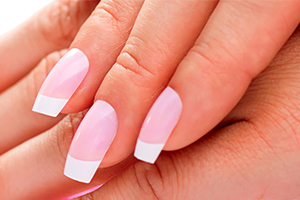 New technology means that nail extensions and nail arts are not only looking better, but lasting longer too. This has resulted in their popularity soaring, as more and more people look to get amazing looking nails, with minimal effort. Our fully qualified and highly specialist team, will talk you through a range of manicure and pedicure treatments. Manhattan Nails, proudly introduces Manhattan Nails Brows & Lashes. Leading the way in brow sculpting, lash extension and of course nail care. Using only the best products so whether your looking for HD Precision Brows, Classic or Russian Volume Lashes, Lash Extensions, Lifting, Perming or even Party Lashes, you know where to come to help create your perfect look. Need some inspiration? Don't worry we can guide you through our range of treatments. We are active on Facebook and post daily so why not join the discussion? Watch out for special deals promotions too! Manhattan's relationship with out clients is the of the utmost importance. Therefore, we do not charge for repairs to our clients, so if you trip, don't trip. Just call, text or pop in and one of our technicians will look after you.